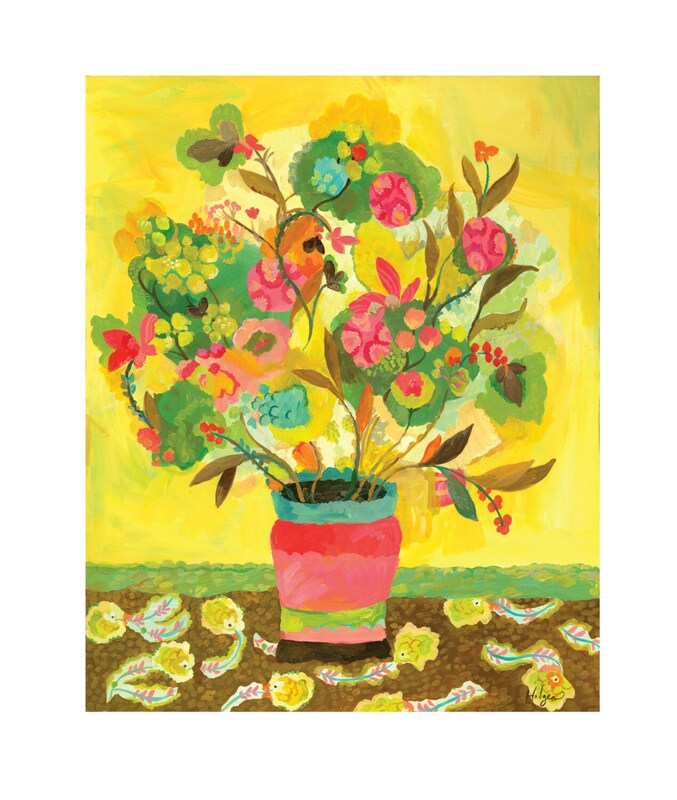 Yellow Madrigal Giclee Canvas Print by Kimberly Hodges. This is an archival print on canvas of my original acrylic painting. The prints are stretched on 3/4" depth stretcher bars, the sides are handpainted to match, and varnished. The larger 24" x 30" size comes on medium duty stretchers bars that will give the piece a more substantial 1 and 1/4" depth from the wall. Each piece has a metal hanger on back so it is ready to hang within minutes. Yellow Madrigal is a part of a series; I have several others in this proportion that coordinate that you can find in my prints section. My giclee prints are printed on high quality acid free cotton canvas using my Roland printer and japanese archival inks made to last 200+ years. Shipped USPS with a tracking # within one to two weeks of your order. I welcome your questions and generally can answer them within 24 hours. If you are an international customer please convo me with your shipping info and I will give you the most accurate shipping quote I can.